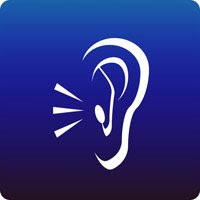 Home » warrenton » Why Don't Hearing Aids Help Everyone With Hearing Loss? There are a few reasons why hearing aids do not seem to help as much in some patients with hearing loss whereas others love them. The most important reason is because they purchased a really cheap hearing aid. Such cheap hearing aids can be purchased for a few hundred dollars at stores (ie, Amazon.com ). These hearing aids are terrible for most patients suffering from hearing loss because they increase the volume at all frequencies... even frequencies where no hearing loss may be found leading to discomfort. Furthermore, although cost is an important factor when deciding to purchase a hearing aid, it also has a direct impact on the quality of the sound. To use an analogy, it is unrealistic to expect a Bose-level spectacular sound quality if you purchase the cheapest toy radio from Walmart. Well, the same goes with hearing aids. Another reason beyond the hearing aid itself is the type of hearing loss a patient suffers from. There is "receptive" hearing loss which is different from "volume" hearing loss. The best analogy to explain this difference is to imagine your hearing to be a radio. A given radio has a volume knob that one can adjust up or down as well as antenna reception which allows one to get a clear signal vs one full of static. If there has been damage to the radio's antenna, it does not matter how much you increase the volume...the signal will still be full of static. Similarly, hearing loss may be a volume issue and/or a reception issue. Hearing aids can only amplify volume. Hearing aids CANNOT improve reception. The hearing test we perform gives us an idea of both volume (pure tone audiometry or PTA) and reception (speech discrimination scores or SDS) aspects of your hearing loss and provide guidance in how much hearing aids may help. Patients with a good SDS on audiogram with severe loss on PTA will do great with hearing aids. Patients with a poor SDS will never find hearing aids to be that helpful in understanding speech no matter how great a hearing aid they buy. Our office is able to both provide a comprehensive hearing test and provide guidance on how well hearing aids will work for you. Our office sells only all-digital, fully programmable hearing aids. Perhaps the newer in-bone implants will do much for those with hearing reception difficulties. Your service sure gives direction to guide many hearing impairment sufferers. Actually, bone-anchored hearing aids will not necessarily help as the problem is the nerve. Ya you are right a machine quality as well as price both factor exists. Everyone wants a cheaper hearing but they don't realise that the deafness level is different. They want the machine which can cater their needs.